Author: Hale, Amanda Set In . . . Description: The Reddening Path is the story of Paméla who, adopted as an infant by Hannah & Fern, a Toronto lesbian couple, travels to Guatamala to search for her birth mother. 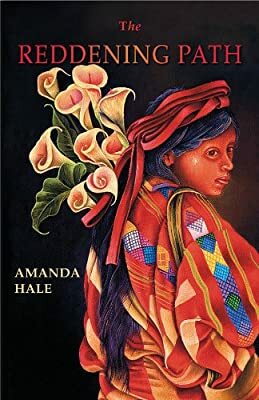 Her quest uncovers a tangle of political and romantic intrigue as Paméla discovers her Mayan heritage and learns about the complexities of life in Guatemala. Resonating throughout is an account of Malintzín, the Mayan slave who became Cortes’ mistress. These details of the Spanish conquest weave throughout the narrative, colouring the lives of everyone she encounters in her birthland. Paméla’s journey casts light on the struggle between conqueror and conquered within the Guatemalan people and the spiritual and emotional complexities facing those of mixed blood, a reality which challenges her expectations for an easy resolution to her question of identity. "The Reddening Path is cleverly structured, with a style that fluctuates between dreamlike poetic imagery and a traditional quest-for-identity narrative...Hale's novel is an intriguing look at post-colonial biculturalism set against a moving backdrop of familial love and personal enlightenment. If you wish to know the tragic history of Guatemala and of Latin America from the time of the conquistadores, read this compelling novel.